Oil-free Scroll Compressor : This high reliability model has lower noise and lesser vibration. The design offers more space saving solutions and the multi-drive control also improves on energy saving. Suitable for R&D laboratories, schools and specialised industries. Depending on the air requirement, the PC board controls the running of the number of scroll heads. This function not only saves energy but also optimises the operation by keeping to the required pressure. 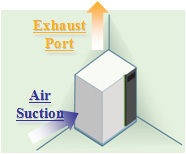 This compressor compresses air by the scroll head which generates a low noise level between the range of 45dB[A] to 61dB[A], similar to the library and meeting room environment. The scroll compressor vibration is so low that when placing pencils in standing position on the compressor top panel, they remain standing even during operation. This scroll compressor can save space by being installed flat against the wall. The well designed structure enables easy maintenance. 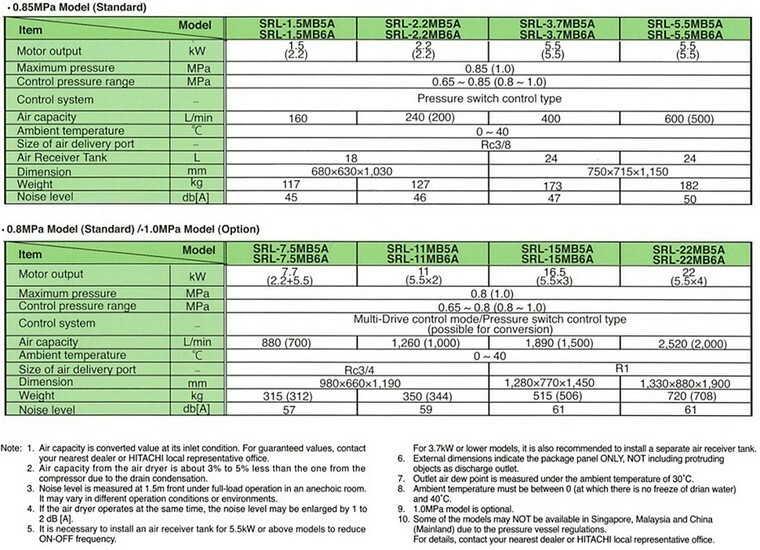 The replacement of air filter only needed at every 2,500 hrs or 1 year, whichever comes first.